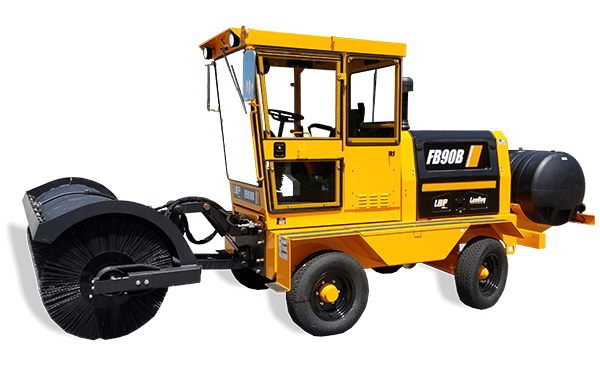 Featuring a front-mounted brush, the FB90B exhibits all of the high-end features you could expect from a self propelled broom. Serving as a pleasurable amenity, the quick-change core system allows the brush to be changed swiftly with no tools required. 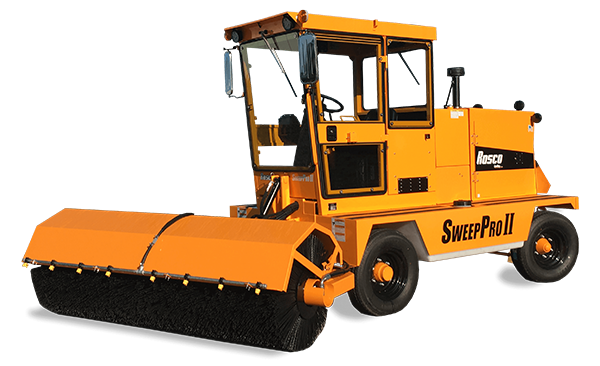 Ergonomic joystick controls provide simple-touse travel and broom functions while this unit also grants a 3 foot turning radius for the ultimate maneuverability. 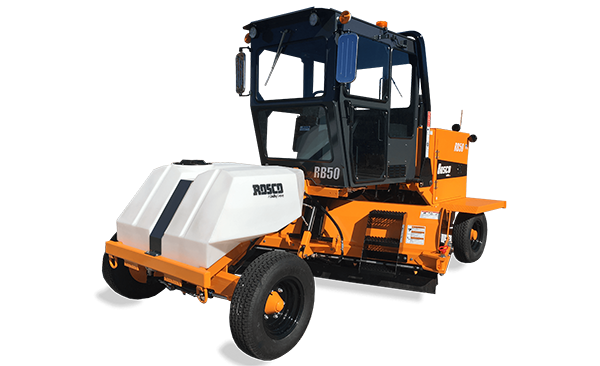 In addition to an extra-heavy duty frame, the FB90B features a high-raise lift to ensure easy trailer loading and unloading. Two separate circuits, one for travel and one for brush control and power steering.